Frenzied reporting of supposed pyramids in the Balkans ignores the truth and embraces the fantastic. The world's oldest and largest pyramid found in Bosnia? It sounds incredible. The story has swept the media, from the Associated Press and the BBC, from papers and websites in the U.S. to those in India and Australia. Too bad that it is not a credible story at all. In fact, it is impossible. Who is the "archaeologist" who has taken the media for a ride? Why did the media not check the story more carefully? ARCHAEOLOGY will address these questions in depth in our next issue, July/August, but for now let's at least put the lie to the claims emanating from Visoko, the town 20 miles northwest of Sarajevo where the "Bosnian Pyramid of the Sun" is located. Semir (Sam) Osmanagic, a Houston-based Bosnian-American contractor first saw the hills he believes to be pyramids last spring. He is now digging the largest of them and plans to continue the work through November, promoting it as the largest archaeological project underway in Europe. 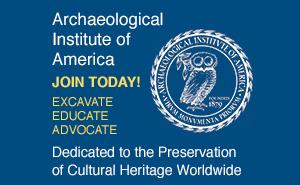 (His call for volunteers even slipped into the Archaeological Institute of America's online listing of excavation opportunities briefly before being yanked.) He claims it is one of five pyramids in the area (along with what he calls the pyramids of the Moon, Earth, and Dragon, plus another that hasn't been named in any account I've seen). These, he says, resemble the 1,800-year-old pyramids at Teotihuacan, just north of Mexico City. Osmanagic maintains that the largest is bigger than the pyramid of Khufu at Giza, and that the Bosnian pyramids date to 12,000 B.C. Construction of massive pyramids in Bosnia at that period is not believable. Curtis Runnels, a specialist in the prehistory of Greece and the Balkans at Boston University, notes that "Between 27,000 and 12,000 years ago, the Balkans were locked in the last Glacial maximum, a period of very cold and dry climate with glaciers in some of the mountain ranges. The only occupants were Upper Paleolithic hunters and gatherers who left behind open-air camp sites and traces of occupation in caves. These remains consist of simple stone tools, hearths, and remains of animals and plants that were consumed for food. These people did not have the tools or skills to engage in the construction of monumental architecture." But time and again the media reports say that Osmanagic has spent 15 years studying the pyramids of Latin America. What is not included in the reports is how Osmanagic interprets those structures and the cultures that built them. Had anyone bothered to investigate, they would have found rather bizarre notions in Osmanagic's book The World of the Maya (Gorgias Press, Euphrates imprint, 2005; $29.95). I had a look at the online edition of it (accessible on Osmanagic's "Alternative History" website at www.alternativnahistorija.com). Ordinary watchmakers repair our watches and put them into accordance with Earthly time. It is my theory that the Maya should be considered watchmakers of the cosmos whose mission it is to adjust the Earthly frequency and bring it into accordance with the vibrations of our Sun. Once the Earth begins to vibrate in harmony with the Sun, information will be able to travel in both directions without limitation. And then we will be able to understand why all ancient peoples worshipped the Sun and dedicated their rituals to this. The Sun is the source of all life on this planet and the source of all information and knowledge. ...And with a frequency in harmony, the Earth will, via the Sun, be connected with the center of our Galaxy. These facts become exceptionally important when we realize that we are rapidly approaching December 2012, a date which the Maya have marked as the time of arrival of the Galactic Energy Cluster which will enlighten us. The descendants of the Maya, the Lacandon Indians in Chiapas were discovered in the mid-twentieth century. This isolated community showed a surprising similarity to the Basque and Berber peoples (most probable descendants of the natives of Atlantis).... In the sacred Mayan book, the Popul Vuh, there are descriptions of cosmic travelers, the use of the compass, the fact that the Earth is round, and knowledge of the secrets of the universe.... The Mayan hieroglyphics tell us that their ancestors came from the Pleiades... first arriving at Atlantis where they created an advanced civilization. Many cultures around the world, from India, Sumeria, Egypt, Peru, the Indians of North and Central America, the Inca and the Maya, call themselves the "Children of the Sun" or the "children of light." Their ancestors, the civilizations of Atlantis and Lemuria, erected the first temples on energy potent point of the Planet. Their most important function was to serve as a gateway to other worlds and dimensions. And there it is. A self-described archaeologist, who believes the Maya and others are descended from Atlanteans who came from the Pleiades, has been accepted as a legitimate researcher by many news outlets. His ideas of early pyramids in Bosnia, which is simply not possible, has been accepted as a major discovery. How could this happen? If you want to categorize this farce, it seems a standard-issue "amateur/maverick confounds establishment with great discovery" story, which no doubt makes it appealing to uncritical reporters looking for a big story. This kind of tale is a staple of the pseudoarchaeology or fantastic archaeology genre. And the term "pyramidiot" has been applied to those obsessed with pyramids and who offer strange interpretations of them on websites and in books and televsion programs. (See "Seductions of Pseudoarchaeology: Far Out Television"). Such stories infuriate serious scholars like Runnels. "These reports are irresponsible on the part of journalists," he says. "These claims are completely unsupported with any kind of factual evidence, such as artifacts or photographs of the alleged architectures. They have not been confirmed by archaeologists who have the training and competence to evaluate them. The person making the claims appears to have no training in archaeology and has not presented his finds in a way that would allow them to be scrutinized by trained experts. This is simply sensationalism and grandstanding and the journalists who have reported on these claims, without first fact-checking the stories with professional archaeologists, should be ashamed of themselves. People who believe these stories, especially when they are presented without evidence, are fools." Some in the academic establishment have spoken out. They maintain that the kind of project Osmanagic is running is far worse than just misleading the gullible public. Following a report about Osmanagic in the London Times, Anthony Harding, president European Association of Archaeologists, wrote the editors, "The situation of professional heritage management in Bosnia-Herzegovina is, since the Bosnian war, in a poor state, with a tiny number of people trying to do what they can to protect their rich heritage from looting and unmonitored or unauthorised development. It adds insult to injury when rich outsiders can come in and spend large sums pursuing their absurd theories (the construction of a colossal pyramid so large that it dwarfs even those of Egypt or Mesoamerica? 12,000 years ago? ), in ways that most other countries would never countenance, instead of devoting their cash to the preservation of the endangered genuine sites and monuments in which Bosnia-Herzegovina abounds." Others fear that Osmanagic's excavations will damage real sites (the hill he calls the "Pyramid of the Sun" is said to have medieval, Roman, and Illyrian remains on it). 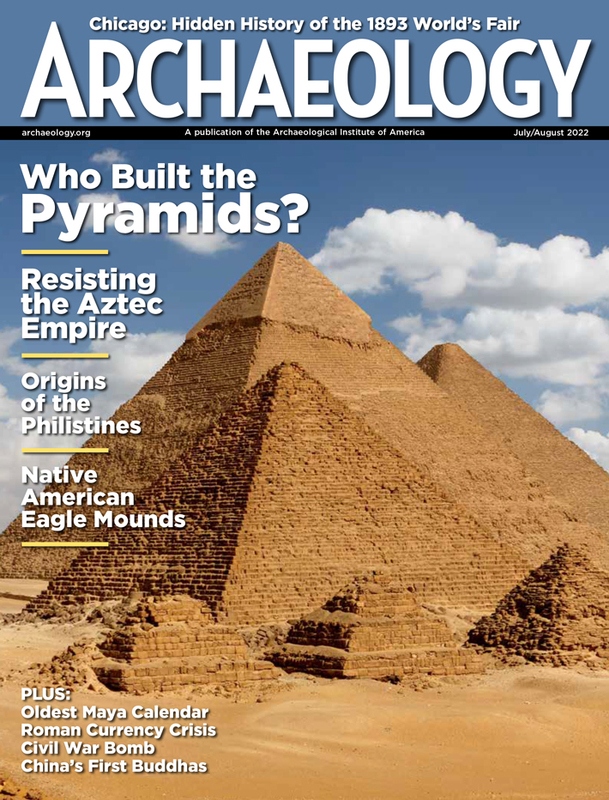 In one of the few critical accounts of the Bosnian pyramid story, which appeared in the Art Newspaper, the University of Sarejevo's Enver Imamovic, a former director of the National Museum in Sarjevo, is quoted as saying, "This is the equivalent of letting me, an archaeologist, perform surgery in hospitals." There is public outcry within Bosnia, and an online petition that seeks to shut down Osmanagic's project. But he apparently has backers within the federal government and the Sarejevo city government. Whether he is allowed to continue or not is unresolved for now, and his website makes no mention of any controversy. And even when the mainstream media catch up and realize that the "Bosnian Pyramid of the Sun" is no such thing, it will have entered the annals of fantastic archaeology and will have a multitude of believers and defenders. See also "Bosnian 'Pyramids' Update" and "Pyramid Scheme."